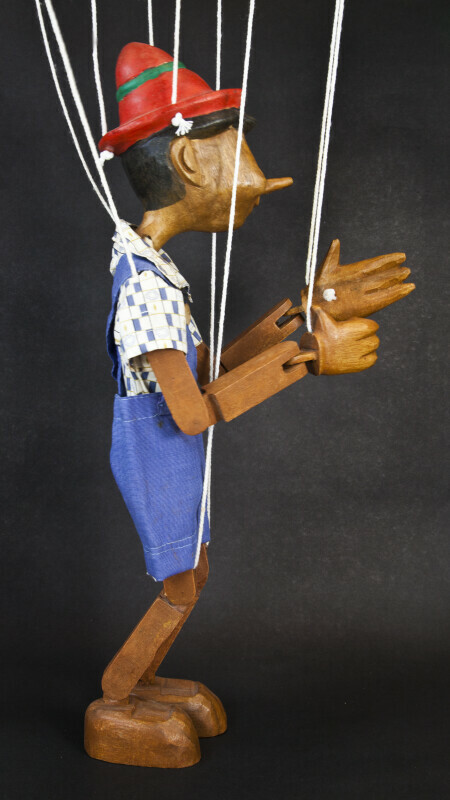 Profile view of Pinocchio string marionette. He is made entirely from molded wood, and has joints at his shoulders, neck, elbows, wrist, hips, ankles, and knees. His nose is long, and he has a painted red hat on his head. He can be manipulated by eight strings. This figure stands 18 inches (46 cm) tall.